In the shadow of a looming flood that comes every one hundred years, Tee tries to convince himself that living in a new place will mean a new identity and a chance to shed the parallels between him and his adopted father. This beautiful and dreamlike story follows Tee, a twenty-two-year-old Korean-American, as he escapes to Prague in the wake of his uncle’s suicide and the aftermath of 9/11. His life intertwines with Pavel, a painter famous for revolution; Katka, his equally alluring wife; and Pavel's partner—a giant of a man with an American name. As the flood slowly makes its way into the old city, Tee contemplates his own place in life as both mixed and adopted and as an American in a strange land full of heroes, myths, and ghosts. 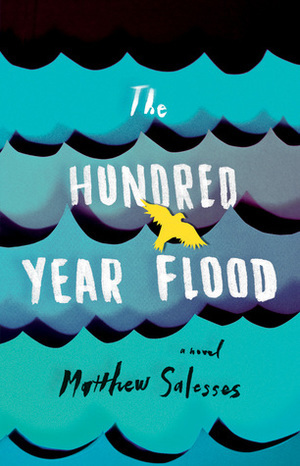 In the tradition of Native Speaker and The Family Fang, the Good Men Project’s Matthew Salesses weaves together the tangled threads of identity, love, growing up, and relationships in his stunning first novel, The Hundred-Year Flood.